In the realm of wildlife management, more and more attention is being paid to determination and mapping of critical habitat. 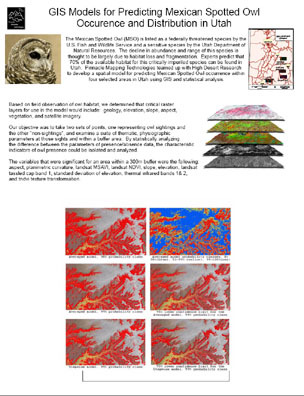 GIS and remote sensing are invaluable tools that can assist in this effort. 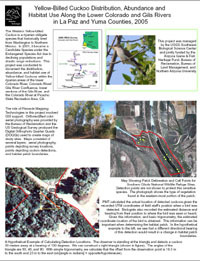 Click on either thumbnail to the right to see examples of how PMT can partner with wildlife management agencies and organizations in order to model wildlife habitat. Contact us for more information on how we can help with your project.